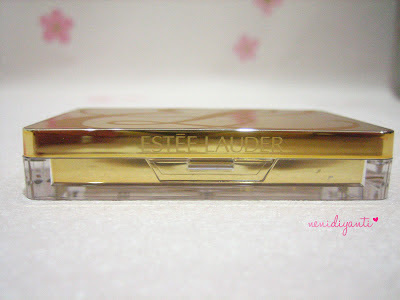 I know Estée Lauder brand since I was in junior high school. 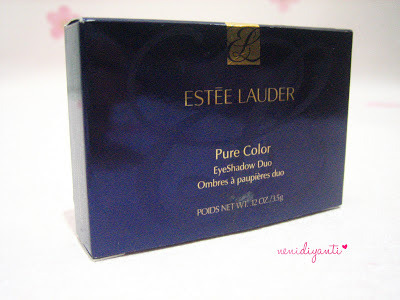 But ofc, I can't afford it with my own pocket money x) So I used to share Estée Lauder's products with my mom. 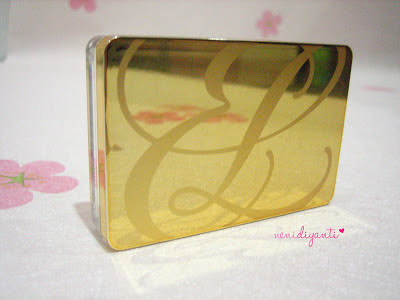 Until one day, I got invited by ci Carnellin to attend Estée Lauder Beautiful Touch with Bobby Wu. As goody bag, I got this Estée Lauder Pure Color EyeShadow Duo. Unfortunately, I came late so I can't choose which shade that I want. 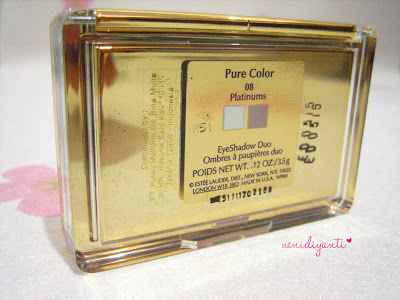 I got #08 Platinum instead because this is the only shade left. The packaging itself is super nice with elegant style. The bottom part is made by glass, it's transparent! And oh, I love how the top part comes in gold color and can reflect anything. 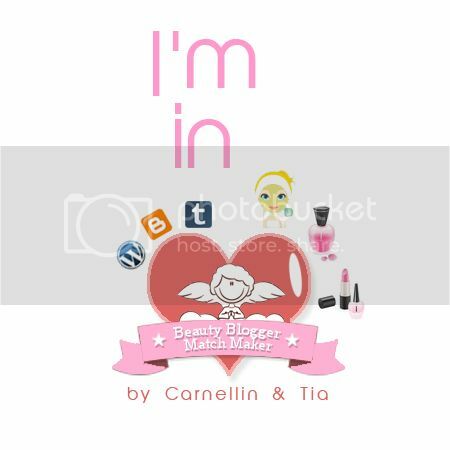 It's thin and comes in handy size. 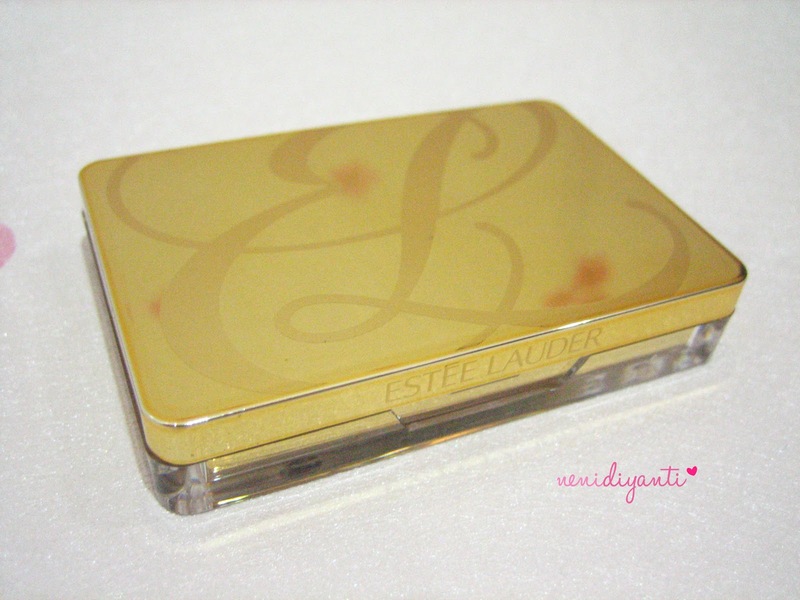 The Estée Lauder's logo is embossed on the cover. It looks elegant with gold and glass packaging. 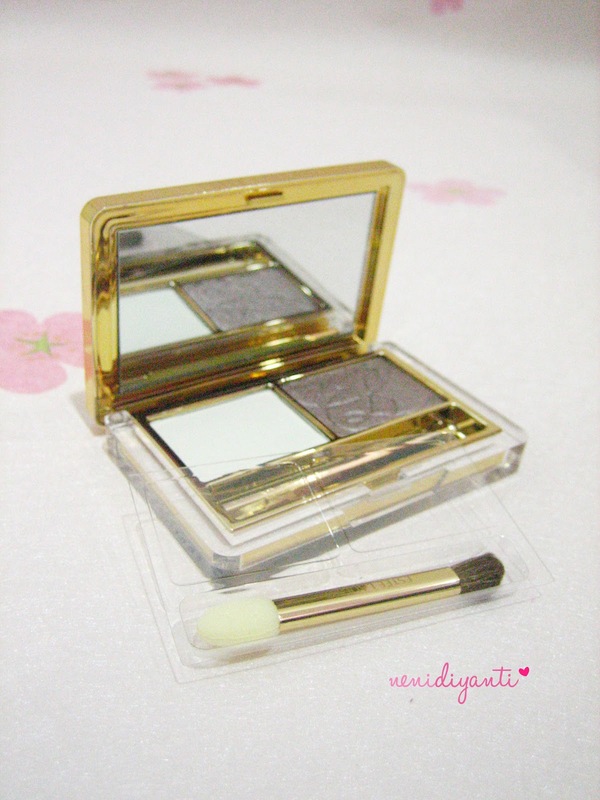 It comes with a dual applicator (sponge and brush) and also a divider is inserted between the eyeshadow and the mirror. 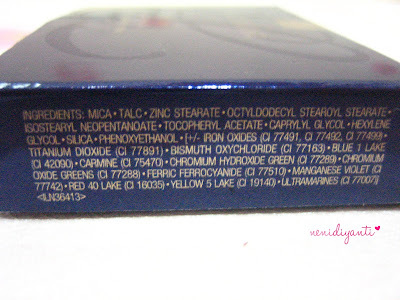 The divider itself is also a place for the applicator. 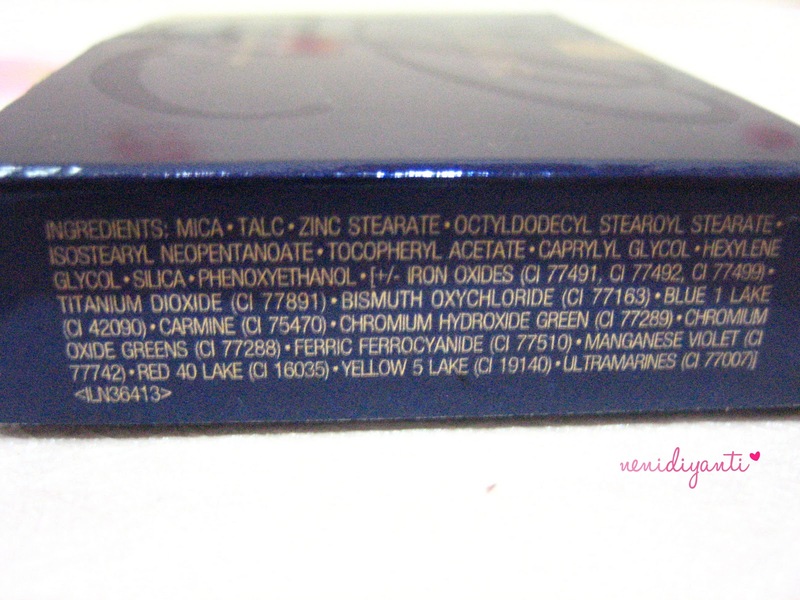 Take a look closer to the pan..
For photoshoot reason, I remove the divider so we can look clearly to the eyeshadow's color (but ofc, I didn't throw the divider away to keep all things inside neat). As you can see, the Estée Lauder's logo also embossed on the eyeshadow pan. The emboss doesn't easily gone, btw. 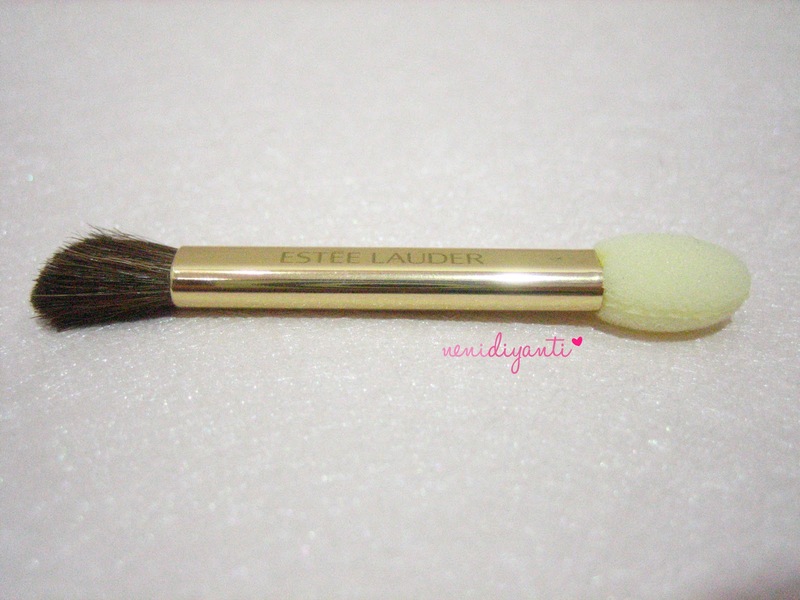 Estée Lauder also give a dual applicator (sponge and brush) for applying the eyeshadow. The quality seems so so, but the brush is quite good. 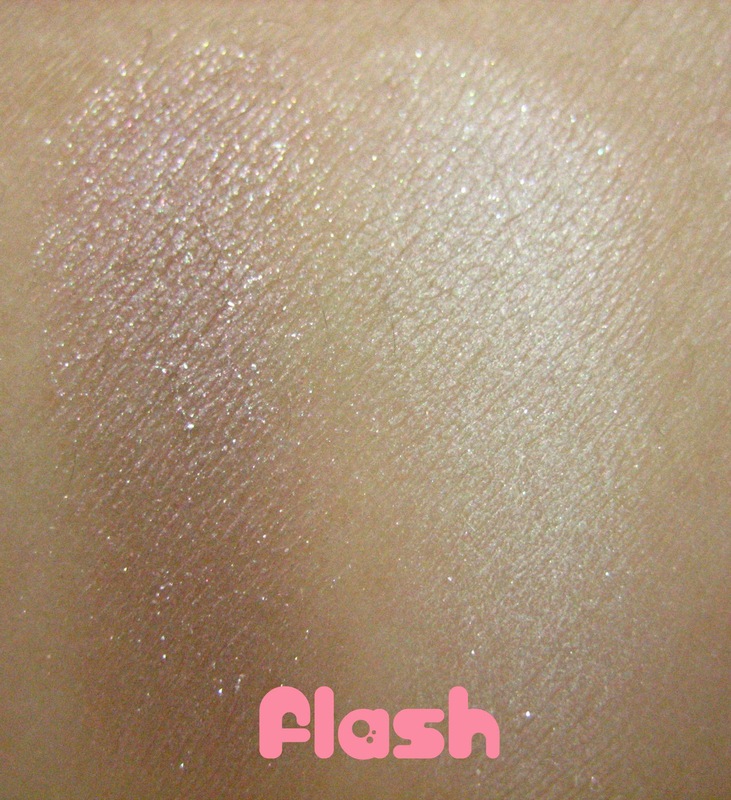 The eyeshadow's colours is pigmented enough. I thought it will give sheer shade when applying, but I was wrong. 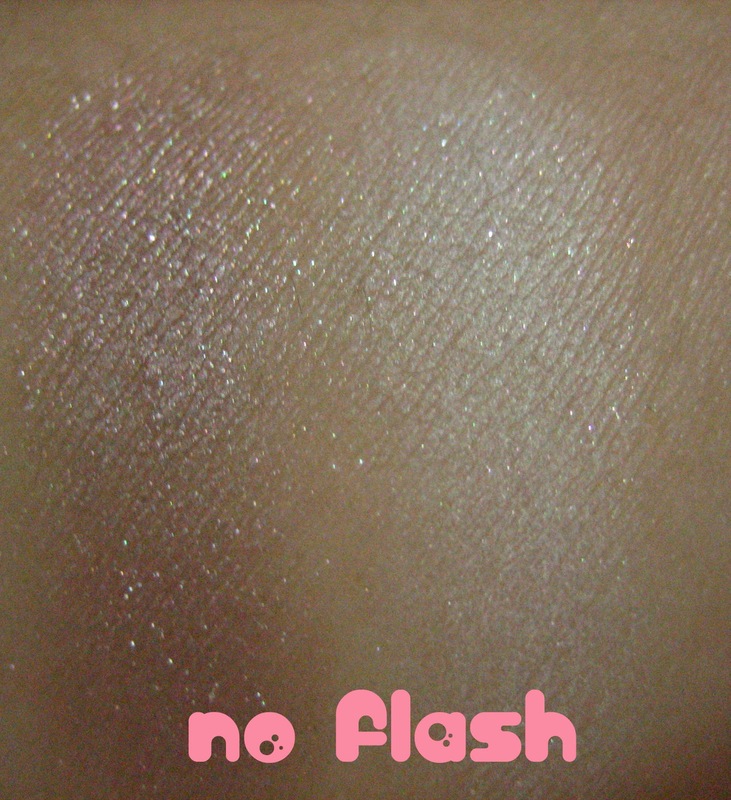 It's pigmented, even without using eyeshadow base. 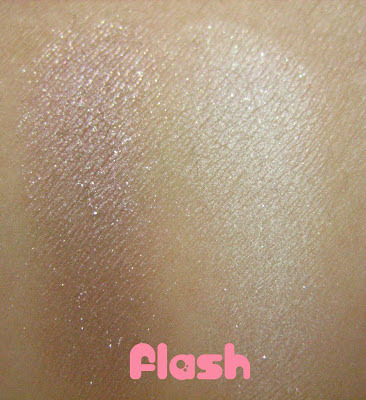 All colours are shimmering and I like to use the white one as highlighter for inner corner of my eyes and on waterline. 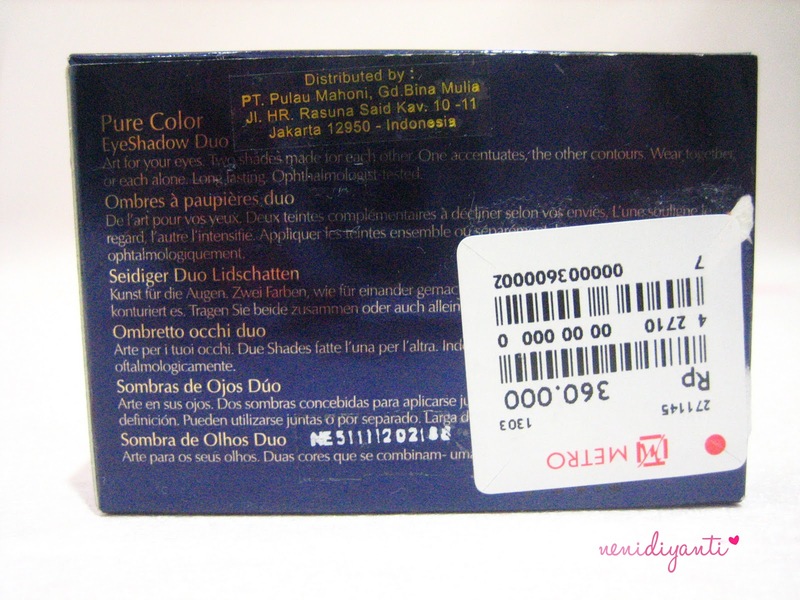 Well, a good price will also give you a good quality. 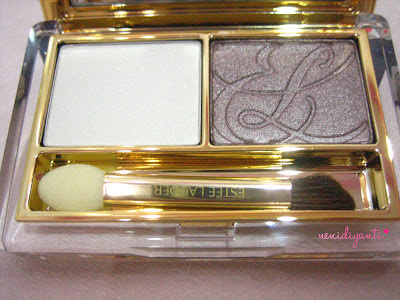 Since this eyeshadow is pricey enough (at least for me, this one is pricey), so it's worth it with the result. 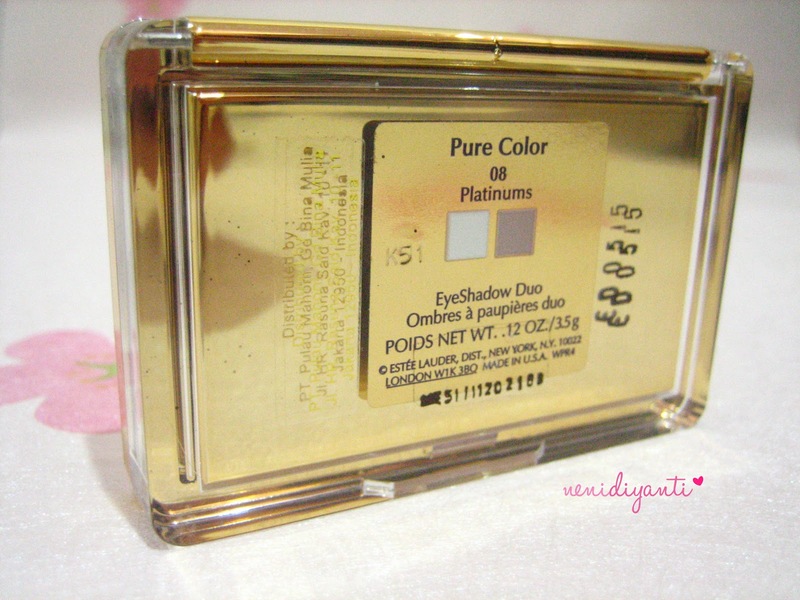 It gives pigmented colours with luxury packaging.